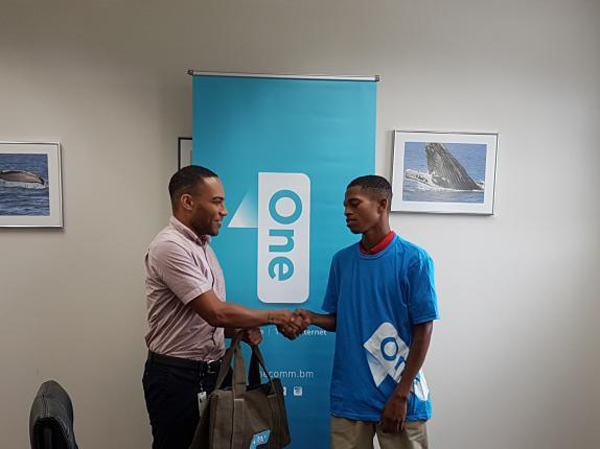 One Communications and the Bermuda Cricket Board announced that the Premier League ‘Player of the Week’ is Temiko Wilson of St. George’s CC, while the First Division ‘Player of the Week’ is Sher-Maur Gomes of Willow Cuts CC. 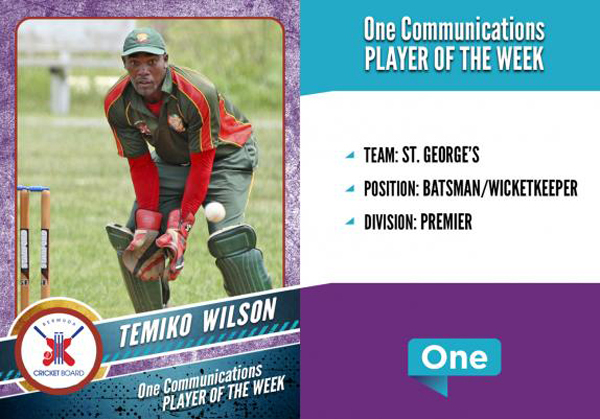 A spokesperson said, “One Communications and the BCB are pleased to announce that the One Communications Premier Division ‘Player of the Week’ is Temiko Wilson of St. George’s CC. “In the match against Western Stars Temiko scored a steady 27 not out off 44 balls to guide his team to a 6 wicket victory in a low scoring match. As the wicket-keeper for St. George’s Temiko also stumped out Dante Wellman to help reduce the opposition to 111 all out. 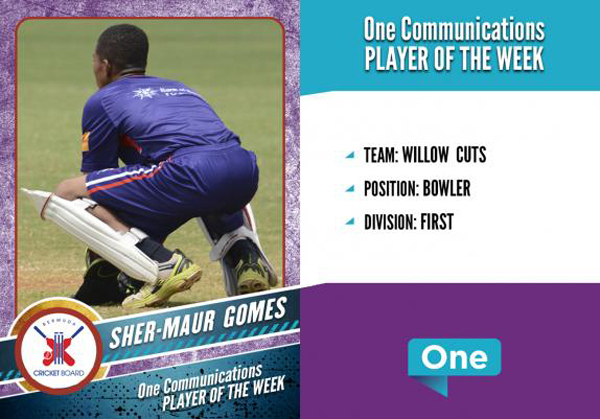 “One Communications and the BCB are pleased to announce that the One Communications First Division ‘Player of the Week’ is Sher-Maur Gomes of Willow Cuts CC. “In the match against PHC at SCC, Sher-Maur destroyed the top order of PHC taking 5 wickets for 28 runs in his 10 overs including removing 4 of the top 5 batsmen. This bowling spell was instrumental in ensuring that Willow Cuts had a comfortable 5 wicket victory as they continue their quest for promotion.